Once upon a time, Agnes seemed as ordinary as Emma is today. Thanks to Emmy Jo and Kate for suggesting our Baby Name of the Day, and Clio for suggesting we revisit it! Believe it or not, in sixteenth century England, you were almost sure to meet an Agnes. Only Elizabeth and Joan consistently ranked higher. Variants abounded, like Annis and Agneta, and even the Spanish Ines surfaced in the same century. The name derives from the Greek hagnos, or holy or chaste. The first famous Agnes explains the many that followed. 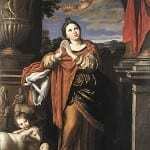 A virgin-martyr, she died under the Diocletian persecutions in Rome in the early 300s. Her story goes like this: born into a wealthy family and courted by many eligible bachelors, she chose instead to devote her life to prayer. A rejected suitor reported her to the authorities. Grisly and horrific punishments followed, along with miraculous escapes – though she eventually died at the hands of an army officer in charge of her execution. A duke’s daughter, born to the House of Poitiers, who later married the Holy Roman Emperor and became Empress. The Empress’ mother also wore the name, and she had at least two granddaughters named in her honor. King Louis VII of France gave this name to a daughter in the 1180s. She married the Byzantine Emperor, taking the name Anna. A duke’s daughter became Queen of France through her 1196 marriage to King Philip II of France. Unfortunately, Philip was already married. 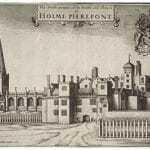 Dozens more women appear in the historical record, including nobles. Three more saints from the Middle Ages also answer to the name. In plenty of artistic renderings, Agnes has a little lamb. That’s because agnus means lamb in Latin. Think of Agnus Dei – lamb of God. Between the popular saint and the Latin phrase, this name felt quite Catholic back in the day. During the Reformation, Protestant parents rejected it in favor of newer names. It would be centuries before the name regained popularity. Remember the John Keats poem mentioned earlier? He told the story of Madeline, a young woman dreaming of her beloved. There’s a Romeo and Juliet-esque undercurrent to the tale. Other medieval names were revived in the nineteenth century, so this one fit right in. 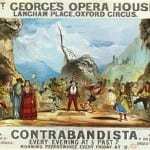 By the nineteenth century, it ranked in the US Top 40. It remained in the Top 100 through the 1920s. A nurse romanced by Ernest Hemingway; she later served as the model for several characters. A silent film star who appeared opposite Rudolph Valentino in The Sheik, and another actress known as Bewitched’s meddlesome mother-in-law Endora. Mother Teresa was born Anjezë Gonxhe Bojaxhiu. The name has hovered in style limbo for ages. Just 189 girls were given the name in 2015 – but that’s up from a mere 59 a decade earlier. With names like Alice on the rise, and the possibility of Aggie succeeding Abby and Maggie, this name feels ready for revival. After all, Despicable Me named the three sisters Margot, Edith, and Agnes. Margot is back and Edith shows signs of climbing. Can their sister be far behind? Do you think Agnes feels fresh and ready for revival? This post was originally published on February 11, 2009. It was substantially revised and reposted on August 15, 2016. I love Agnes! And so many of the other names mentioned in the comments are favorites of mine too – Agatha, Edith, Maud, Mildred. I wouldn’t personally ever use Agatha because it was the name of my dog when I was growing up, and I’m not a fan of Aggie (that’s what we called our dog). I’d love to meet girls with any of these names. 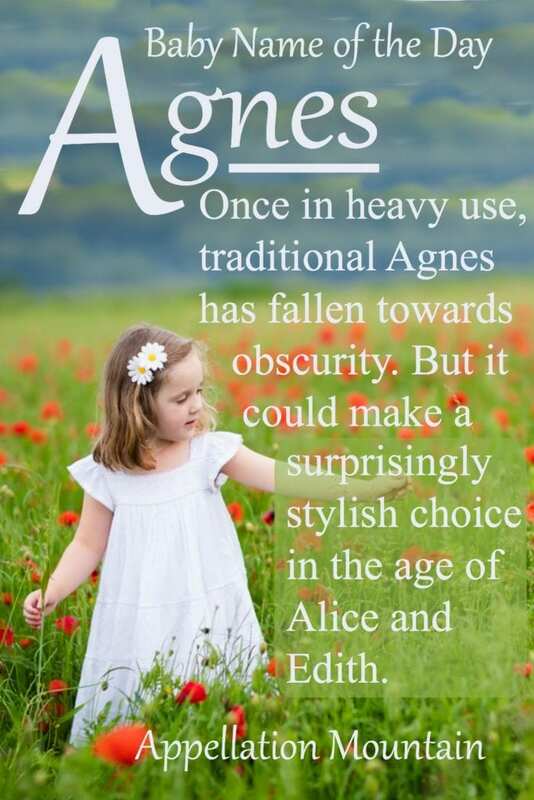 I really like Agnes and was just talking about the name Agnes and Aggie with my daughters (ages 12 and 8) this weekend. My eldest misheard Aggie as Haggie and was put off. Worse still my 8 year old thought the name in question was Agony! There’s nothing wrong with giving your kid an ‘old-person ‘ name. SOme people LOVE them & others don’t. Personally, I couldn’t care about it being geriatric- I just dislike the sound. It’s so harsh and make me feel awkward when I say it or here. 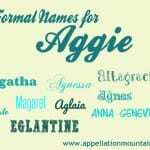 Thanks for making Agnes a name of the day Apellation Mountain. I am very much a fan of hers, obviously – given that I requested her! I can see why others would think she sounds old-ladyish, she does! But I love that old fashioned musty vibe. That, and the fact she sounds very proper, almost regal and yet quite short, snappy and to the point too. The potential nickname Aggy does put me off her a bit, as it does Agatha, but I remain undeterred: Agnes rocks! I really like Agnes. And Agatha, for that matter. I am pretty sure my husband would dismiss them both as too old fashioned, since he’s a fan of Mackenzie, but I am glad to see that some other people out there in the Onomasphere like these two. Our last name starts with S though, so Agatha edges it out. Ooh, I do like Viola Agnes Pearl… Viola and Pearl happen to be two of my very favorites! I think even though they’re both old fashioned, they dress Agnes up so she’s not so dowdy. Love it! See, yesterday I didn’t like Agnes, today I do… I’m too fickle! I quite like Agnes, and Agatha, for that matter. They just seem rather ‘humble’ to me. Plus, both Aggie and Nessie/a are very cute nn! I don’t know if I’d like her enough to use her in the fn spot though. She might make a nice middle for say, Viola.. Viola Agnes ___? Pearl? maybe. Anyway, the cutting edge, rather popular model, Agyness Deyn, might bring the name up a few notches/?! Viola Agnes is intriguing! And you’re right about the model, Sophie. I can never decide if I like Agnes or not. Some days I love it and other days, not at all. Today I don’t like it… I think I prefer Agatha. I really like Agnes, actually, but I prefer Agatha. I think it’s because I feel like the G needs a balancer, like the -a ending of Agatha. I would love to see either one used, though! Ines intrigues me, but I don’t like it nearly as much as Agnes. I LOVE Agnes!! I was thrilled to see you cover her, Verity. She doesn’t work with my last name, but I’d have a lot of respect for any parent with the taste to use her! All my life I have dismissed Agnes as an unattractive “old-lady” name, but now I’m giving her a second look. To me, Agnes now seems cutting-edge stylish, and the nn Aggie is quite cute, as is Nessa. Its association with Mother Teresa makes it a great hero name, too. I’m generally not into the fusty-sounding names (so Frances, Maud, and Edith do nothing for me). However, I’ve fallen head-over-heels for Agnes. I think its the romanticism of the John Keats poem that did it for me. “The Eve of St. Agnes” sounds so … bewitching. I’m not sure I’d ever be brave enough to use this name, but she’s one of my secret loves. Aww, I adore Agnes and she always gets shot down as “old lady”. Even the other half thinks she’s too musty. Shame really. She’s got such a delicate sound, even with that ‘g’ in there. I’m a Keats fan and was thrilled as a kid to realise he just about single-handedly revived Agnes. Pretty awesome thing to do, in my book. Agnes is yet another medieval name I really dig. I’d happily use it & nn her Nessa, Aggie’s too hard sounding for me (and what kills Agatha for me). Sweet! Maybe I’ll get lucky and meet a little Agnes sometime soon. I know I’d be beyond the moon with happiness if I did! I agree that I find Agnes pretty geriatric. I keep meaning to read the Discworld series, Bek – if Terry Pratchett is a good namer, that might be reason enough to wade through all those books! My first take on Agnes is “old woman.” I see the possibility of revival and that it fits in with some others that are popular… but Agnes still is not one of my favorites. I just see a blue-haired woman. […] put, it is very difficult to categorize a name. […] Agnes – Recently chosen by Jennifer Connelly and Paul Bettany for their daughter Agnes Lark, Agnes still has a whiff of mothballs about her. […] new daughter rather restrained? […] the girls’ names are listed inconsistently.